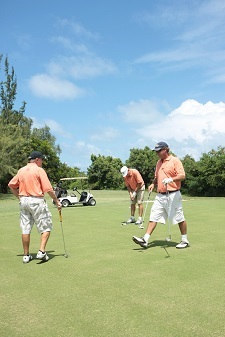 Antigua sports: Cedar Valley Golf Club & Club Café. 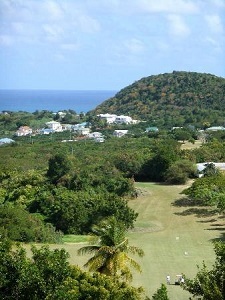 Located in the north of the Island and within 3 miles of the capital St. John’s and the cruise ship port, this beautiful par 70 and 6,157 yd course was designed and built in 1970. 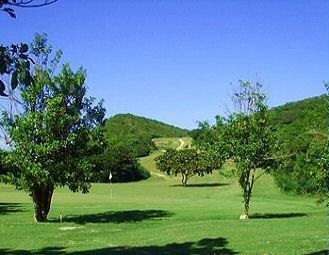 Originally 9 holes, the 18 hole course opened in 1977 as Antigua’s only 18 hole championship Golf course. Set amidst mature, tropical trees, vistas on hills and breath- taking views of the Caribbean Sea. Our golf club welcomes players of all levels. We have a 300 yd driving range and our resident professionals are available for lessons. For those traveling without clubs, we have sets of clubs available for rent. The Club Café is open to all, serving breakfast and lunch daily, from 8:00 am to 5:00 pm. The Café’ offers guests to eat in or take away, choosing from a delicious menu, including crispy Salads, Succulent burgers, daily lunch specials, and pizza’s made with only the finest ingredients. We offer free WIFI lots of parking, and a beautiful view to Indulge in while you eat. For further information and take away orders Please call 462-0161.